He also turned down the role that eventually went to Guy Pearce in L.A. Confidential. 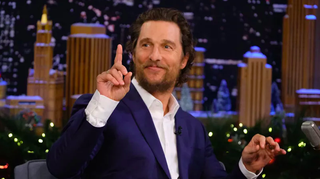 Being Matthew McConaughey is harder than I thought! In this photo, it looks more like the ocean is wondering whether she’s okay?